With Menulux Watch app, orders received on smartphones and tablets will be notified to the waitress's smart clock over the cloud. Menulux cloud computing platform allows you to manage your business remotely by accessing all of your information from the internet by a computer, laptop or smartphone. Menulux Watch, restaurants, cafes, bars, tea gardens, hotels, holiday villages and so on. provides service or account service, direct desk and customer service to all businesses. Menulux Waiters Call System, in a shorter time, better quality service! Your customers, easily call your waiter with smartphones and tablets, not by voice or hand gestures. The call made by the customer is immediately notified via the cloud to the smart clock of the waiter, either voiced or vibrated. The waitress goes to the table where the order is placed directly and serves quickly in the direction of the customer's request. You can increase your brand value with the fast and excellent service you offer to your customers. 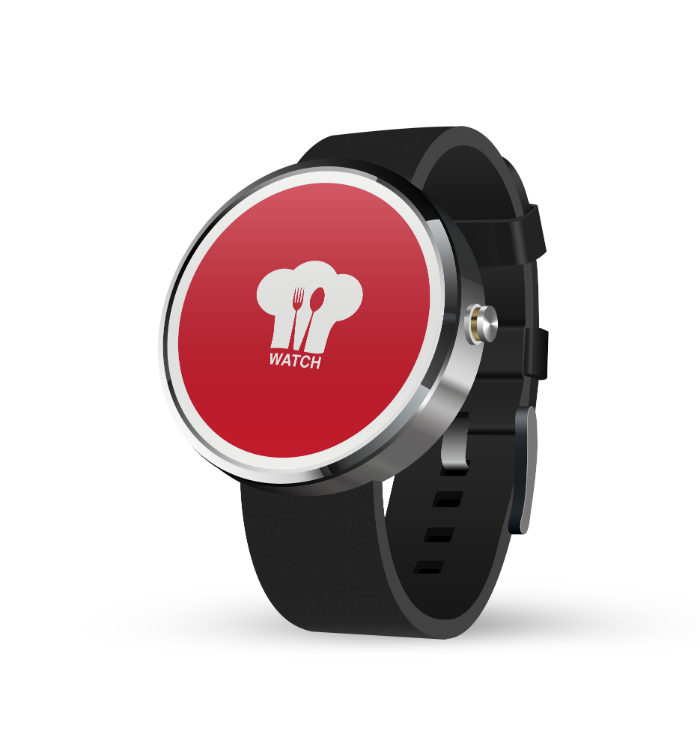 When the food or drink service is ready, the waiter's intelligent clock will be notified and the customer service will be provided without loss of time. The waiter does not go unnecessarily between the kitchen and the customer, this will give you less service time and higher service quality. Provide a comfortable environment in which the waiter and his or her staff will not interrupt or disturb your customers' private conversations or dialogs. The Menulux Waiters Call System provides a coordinated and a good workflow, enabling your staff to operate at full efficiency. Thus you will have a more economical and efficient working environment. When a customer presses the 'call' option on their smartphone or tablet, a notification comes in via the cloud, along with the customer's table number, to the waitress's smart clock. Thus, the waitress can start to serve the table quickly. The waitress easily send the customer's order through the Menulux POS System to the kitchen. 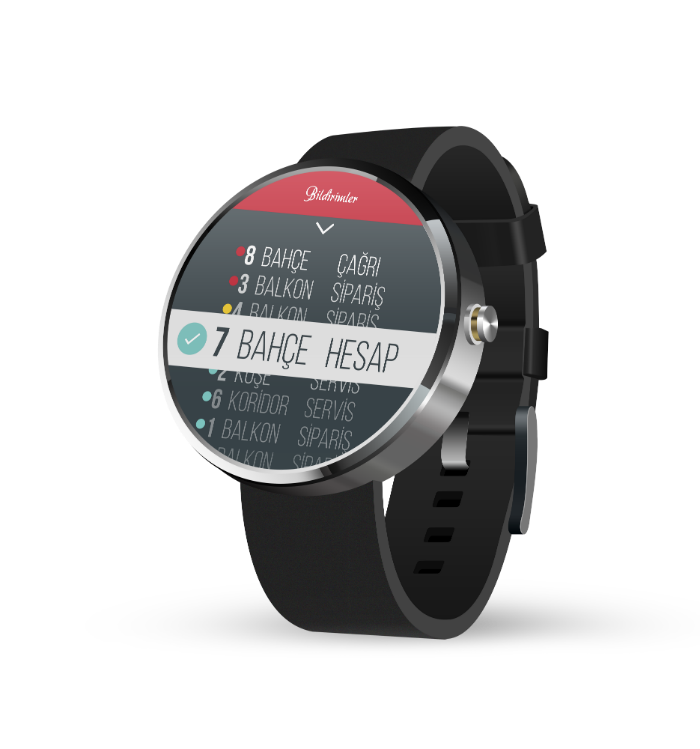 When the order is ready, will comes notification to waitress smart clock. and the order can delivered quickly to the relevant table. By selecting the order as 'completed', it may start to deal with other tables. Your customer can easily request an account and pay for it at the desk. It is happily separated from your workplace. 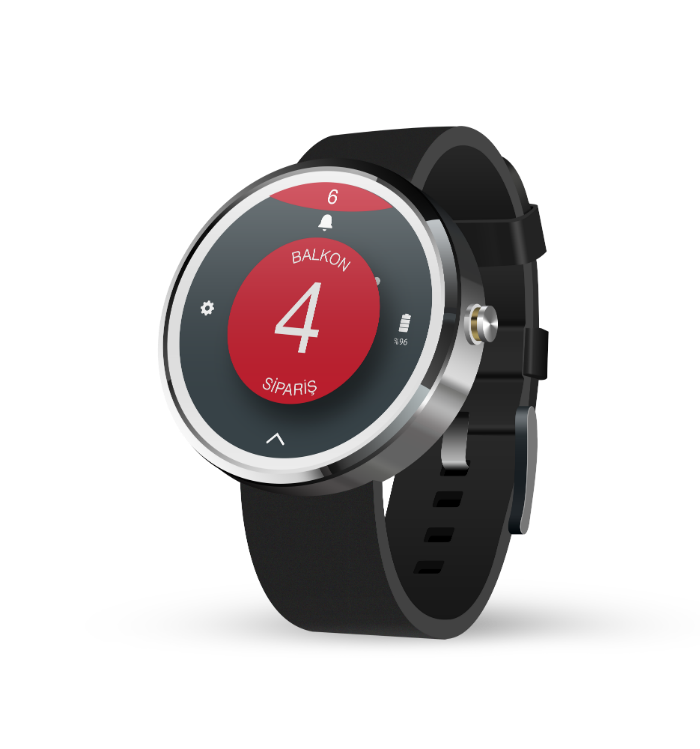 Start trying Menulux Watch app by downloading from Google Play store.